“First and foremost, Travis is a great friend and human being. Anyone that has ever met Travis knows that he always has a positive outlook and love for life that is infectious. In fact, one of the hardest things to do at the beach is trying to get him to leave because in between the volleyball court and the parking lot, it is guaranteed that at least ten different people will stop Travis to chat with him. It is near impossible to find anyone that has a negative thing to say about Travis. He’s a friend to everyone. Schoonover’s life revolves around volleyball. 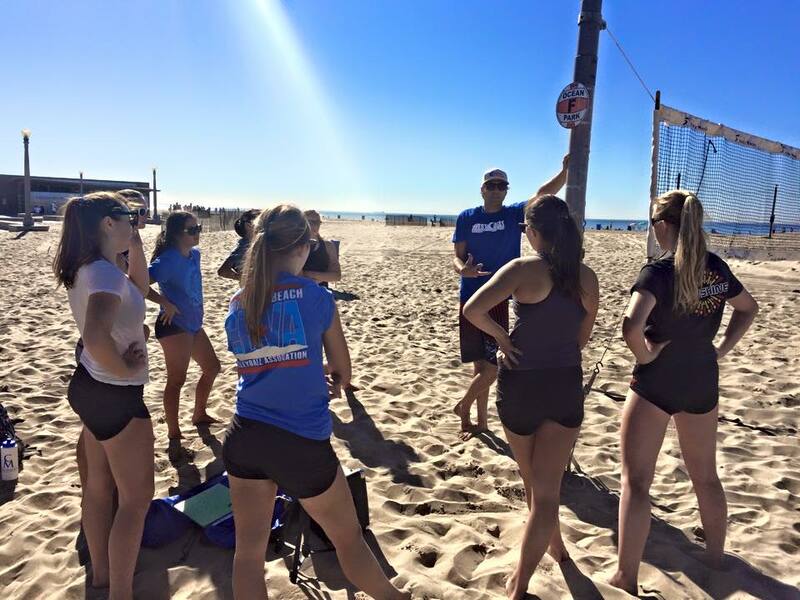 Outside of dominating the courts with beach volleyball partner Andrew Russell, Schoonover runs his own indoor and beach volleyball program, WestCoast Volleyball Club. With two indoor teams and 30 kids enrolled in the beach program, WestCoast Volleyball Club continues to thrive. In between coaching and training, The NVL had the awesome opportunity to catch up with Travis Schoonover about his athletic career, his business and the future of beach volleyball. Lately we’ve seen a major shift in the volleyball community, moving from indoor to beach. What is the motivation for kids to be moving to the sand? Schoonover: At the junior and amateur level, there are a lot of girls trying to play this one position. Eventually, they switch to beach because EVERYONE has a chance to play. There are no subs. Indoor is very structured. Also, height isn’t as much of a factor when playing beach, but it is a major factor in indoor competition. An outside hitter at 5’6″ will never be able to step foot on an indoor court. So for a player like that, they can make the transition, no problem. What other factors play in to kids choosing between indoor and sand? Schoonover: Some fall into beach at a young age, because they were raised in the beach volleyball community. Beach is natural to them and they like it. But some just don’t like the environment – the sand, sun, heat, wind etc. If you’re raised in Hermosa or Manhattan Beach, you’re already a beach kid. Other kids who don’t have as much access or exposure to the beach just need to learn. 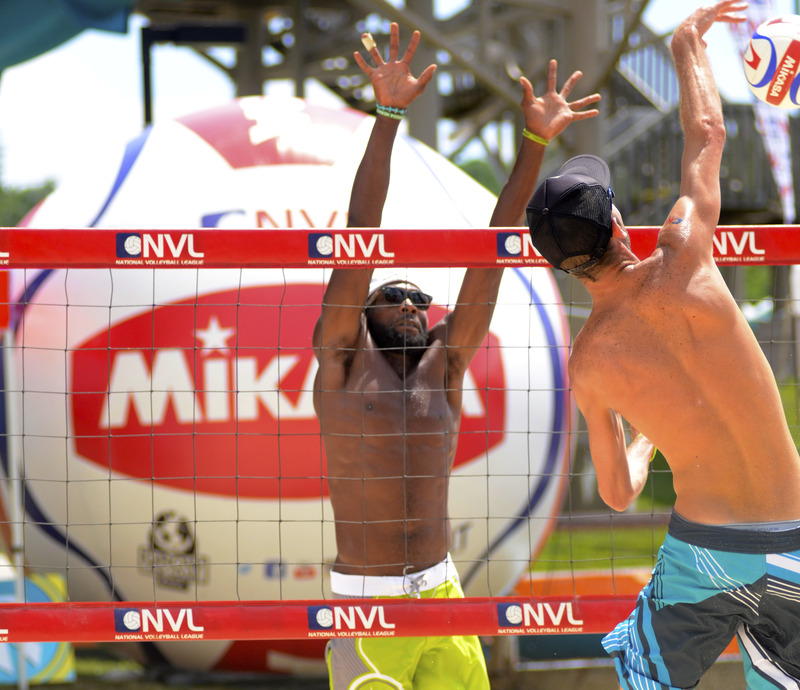 We are seeing a lot of growth at the college level, with sand volleyball becoming mainstream. What kind of opportunity does this open up for high school students looking to be recruited? Schoonover: It’s amazing. College-level beach volleyball programs are growing so much. Because the sport is young in this particular community, scholarships are actually becoming really viable options for a lot of students. Now, even if you are landlocked, communities are building beaches just for the sport – which just goes to show how much room there is for growth. With all of these clinics and beach clubs popping up all over the place, how do you see this affecting the future of the sport? Schoonover: The future is going to bring serious talent. As of now, the peak ages for beach volleyball are 31 in men and 28 in women. The peak age will most likely lower to 25 and maybe even 20-22 as more elite indoor players transition to beach at an early age. When these kids grow up, they are going to be monsters on the court. Coaching is also becoming very prevalent on the beach, which is helping young athletes take their game to another level and much faster. What hurdles have you had to overcome as a full time defender? Schoonover: Three years ago I decided to become a full time defender, which means I needed to ask every strong blocker I knew to play tournaments with me. As all defenders know, it’s us making the phone calls and creating the team partnership. The second hurdle is finding the right partner. The third hurdle is training together. I found a blocker that allows me to play my style of defense and who is committed to the process of getting 1% better every time we step on the court to train. Watch out for this duo on center court during our tournaments on our FREE LIVE WEBCAST.